If we look at the project layout we can see project buildings laid out in a curvature with the clubhouse in the middle. The rest of the amenities are relatively well spaced out. 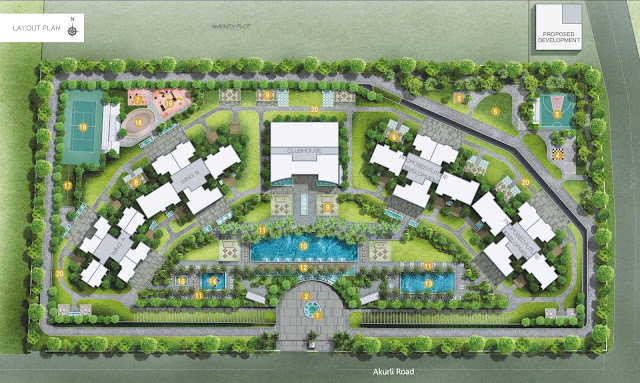 With the entrance of the project on Akurli Road, the buildings on east side of the plot will be closer to the national park. The layout looks well- spaced out with sufficient spacing between the buildings. 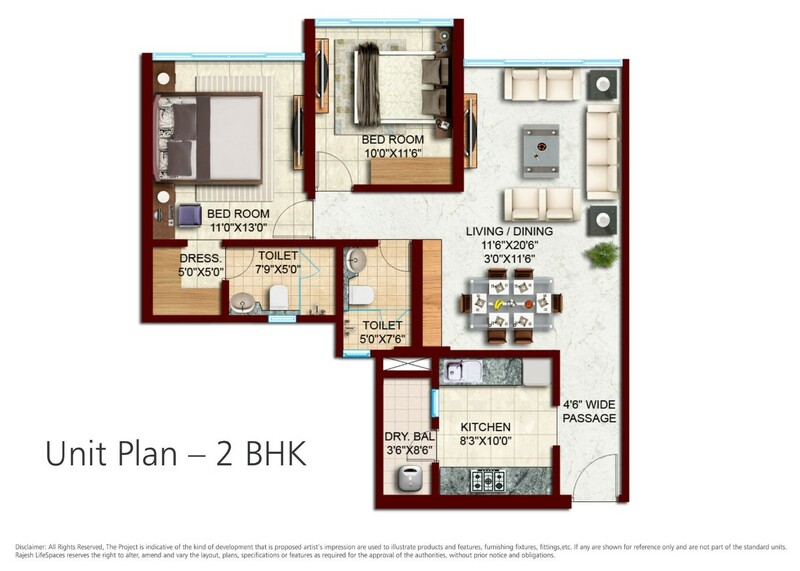 Coming to the 2 BHK plan, although the master bedroom is sufficient the second bedroom size is small again. The same issue which is there with one bedroom floor plan that is off kitchen right next to the entrance which will ensure lack of privacy for residents exists here too. 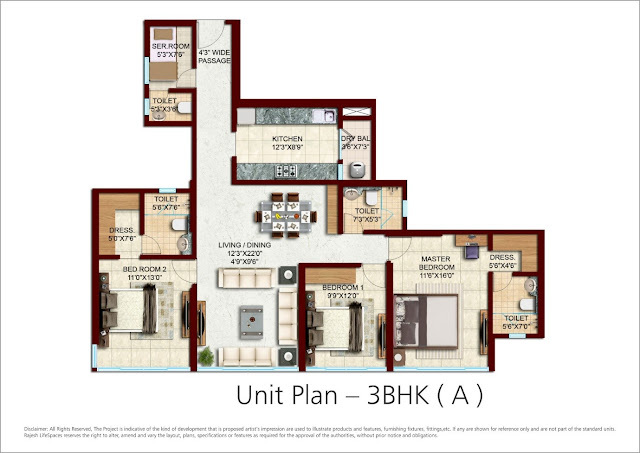 The three bedroom plan is less efficient as compared to the previous two with the good amount of space wasted in the entrance lobby. Again, the master bedroom size is sufficient but is seriously lacking in others. 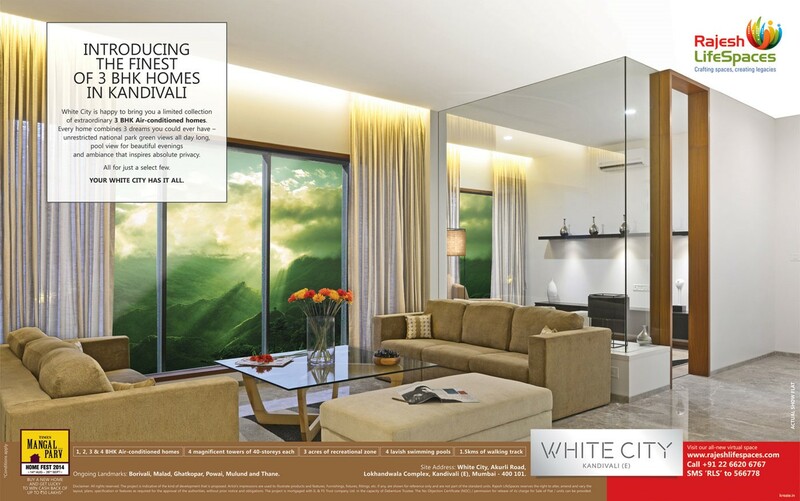 Overall, White city boasts of decent floor plans which could have been more efficient and spacious. White city is located in Kandivali east very close to the national park. 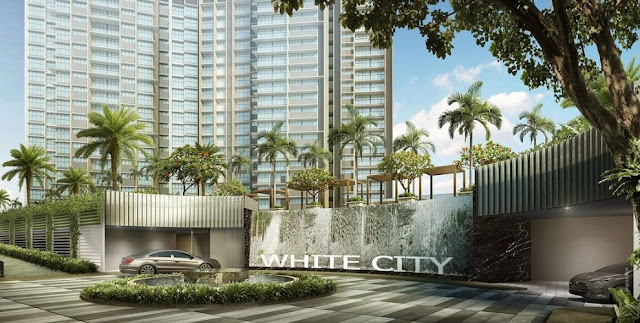 The location will ensure that the project gets very good views and is close to nature. Lokandwala’s project is also located very close to it. There is no problem of social infrastructure as well. 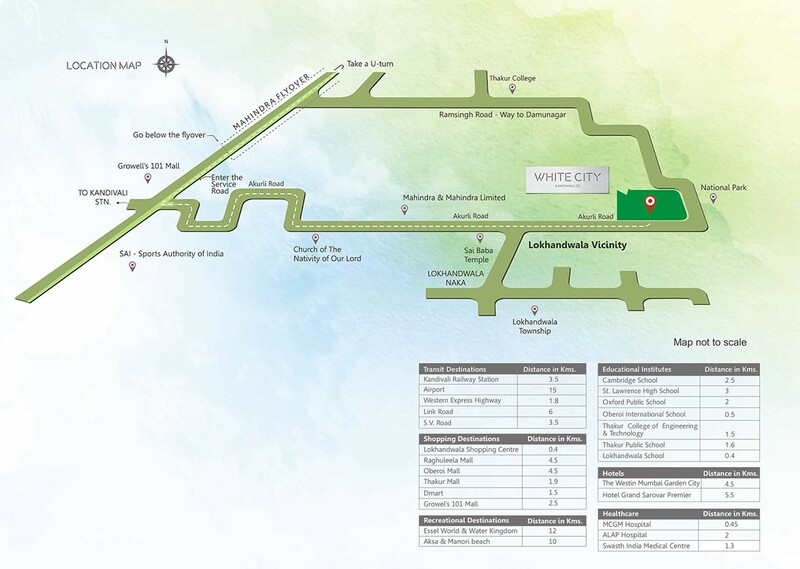 The only issue is that the distance from the western express highway is relatively more. At the same time, it's a quite far suburban rail network. In addition, the project is very close slums as well. 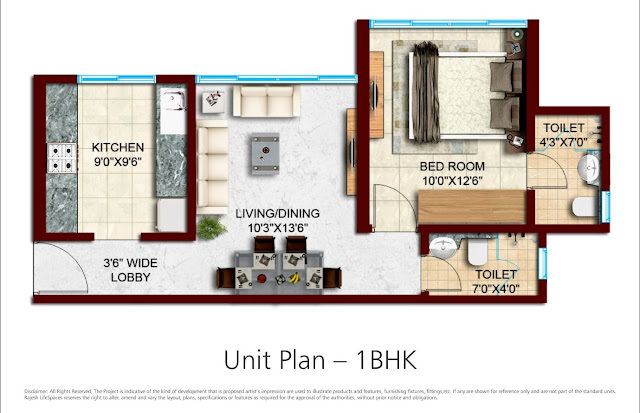 It is a decent project from a reputed developer and can surely be considered as an option if you are more focused on amenities and can do away with relatively smaller bedrooms in the apartments.